Of the 500 million+ people who use Google Translate, more than 9 in 10 live outside the U.S. We’ve talked with thousands of you in India, Indonesia, Brazil, and Thailand to learn what works and what doesn’t—and today we’re rolling out some big improvements. Watch the video to learn more. 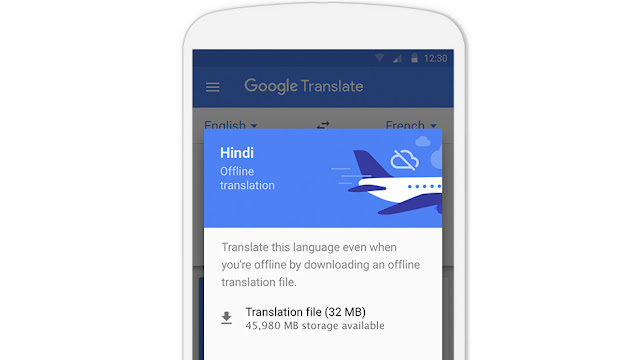 Tap to Translate works for all 103 of Google Translate’s languages on any Android phone running Jellybean (4.2) and above. Next, Offline Mode now works on iOS, and joins Android in using small offline packages. We know that many of you found the previous packages too big to download on unreliable data connections or to keep on your phone’s limited storage. That’s why we shrunk them by 90 percent, to a much more manageable 25 MB each. Offline Mode is easy to set up: Just tap the arrow next to the language name to download the package for that language, and then you’ll be ready to do text translations whether you’re online or not—and it works with Tap to Translate too. We’ve just added a Filipino language pack, bringing our total number of offline languages to 52. Finally, we’re adding Word Lens in Chinese. It’s our 29th language for instant visual translation, and it reads both to and from English, for both Simplified and Traditional Chinese. Try it on menus, signs, packages, and other printed text. As with all Word Lens languages, it works offline. With Tap to Translate, improved Offline Mode, and Word Lens in Chinese, we hope you’ll find the latest version of Google Translate a helpful companion. These updates are rolling out over the next few days.